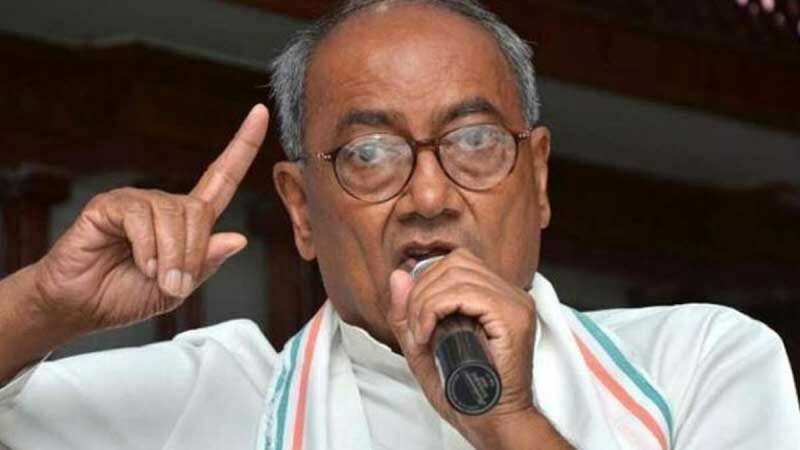 Bhopal : Former Madhya Pradesh Chief Minister Digvijay Singh will be contesting the upcoming Lok Sabha Polls from Bhopal, said a report. The news comes days after he said that he has left a decision about his candidature on Congress President Rahul Gandhi. A couple of days back Digvijay Singh was challenged by Madhya Pradesh Chief Minister Kamal Nath to fight on the toughest seat of the state. Kamal Nath, addressing a press conference earlier, had said that there are some seats in Madhya Pradesh where Congress has not won in last 30 years and thus he wanted Digvijay Singh to fight on one of those.